Set comes with 4 cakes, bowl, spoon, menu and decorative floor mat. Adorable berry scented doll is ready for baking in her cute outfit and pink shoes. Red oven has shelves for cakes, burners on top, and the oven door opens for baking! Make and bake your own cake designs with mix and match toppings! Strawberry Shortcake is ready to open a cute bakery for her friends! 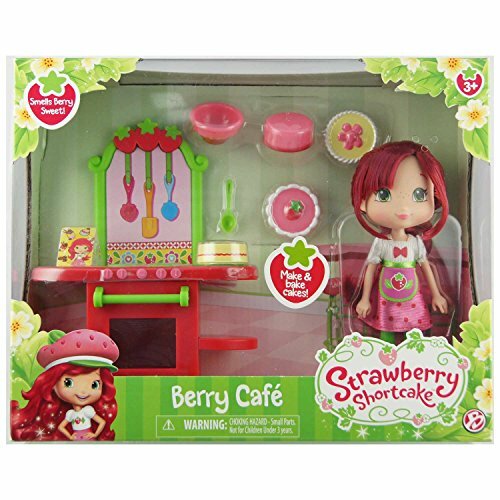 Strawberry Shortcake loves baking for her friends at the Strawberry Cafe! This playset offers tons of fun accessories to make and bake your own cake designs with mix and match toppings! 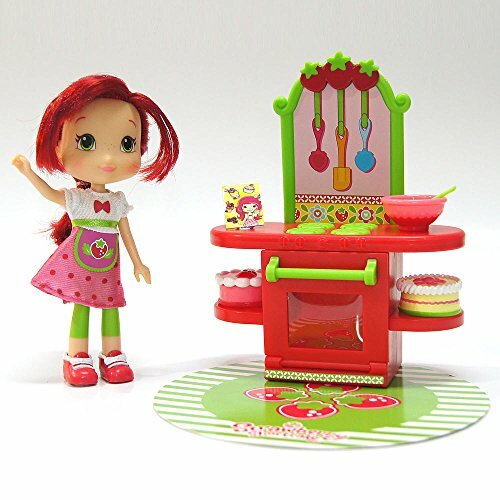 Includes sweet scented Strawberry Shortcake 6-inch doll, oven, bowl, apron, spoon, and 4 cakes.